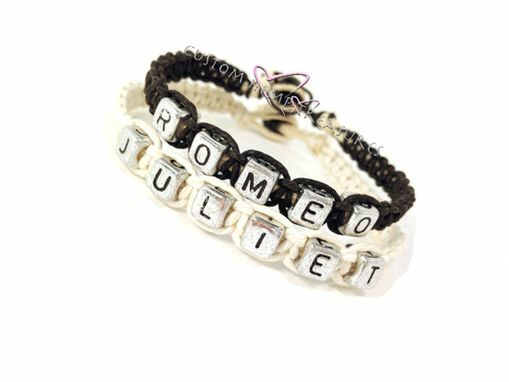 Handmade Hemp Bracelets that say romeo and juliet. These are fully custom bracelets made for you and your sweetie or even for friends. 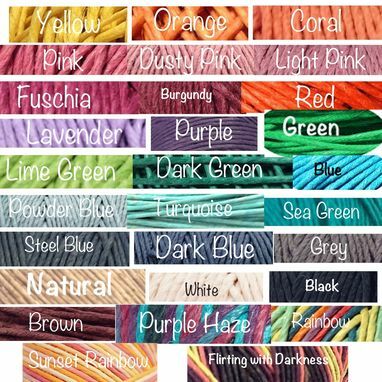 Pick your hemp color for each from picture 2, pick your length you would like for each (average womens 7 inches average mens is 8 inches). Just contact me and I can be making you a custom pair of bracelets in minutes!